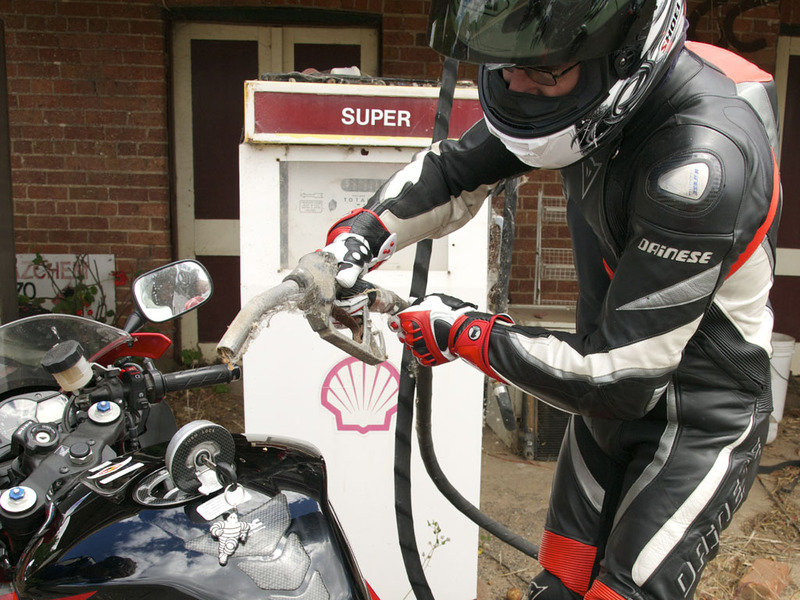 This ride report was originally published in the January 2013 issue of the Motorcycle Tourers club magazine, ‘Chain Lube’. It has been a while since last I led an MMT ride. I had not realised just how long until David P. gently reminded me that my last one was to Echuca in September 2009. High time for this li’l old brown duck to re-establish at least some veneer of ride cred! And so, on this beautiful mild Sunday John M. and I rode down from the north directly to the second pick up point at Sunbury. 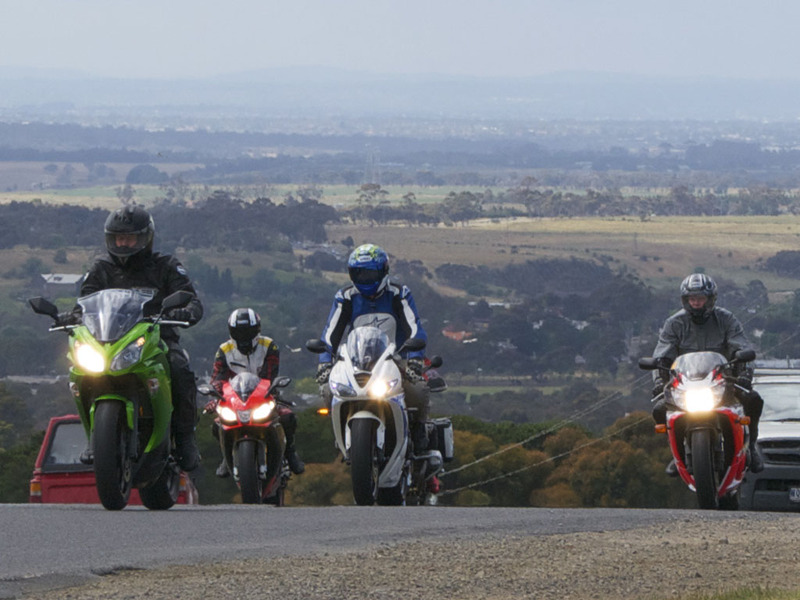 There we were joined by Adam H, Brett and John, Simon, Darren B, Justin, Pete and Tim and Phil R.
It had been vaguely arranged that some unspecified rider would lead the Ride from South Yarra to Sunbury, but by 10.45 nobody else had turned up – is this a first for a club ride? Giving our photographer Adam a head start, the group started for Riddells Creek, gaily roared past Adam’s frantically snapping aperture – and that was the last we saw of him for a while! 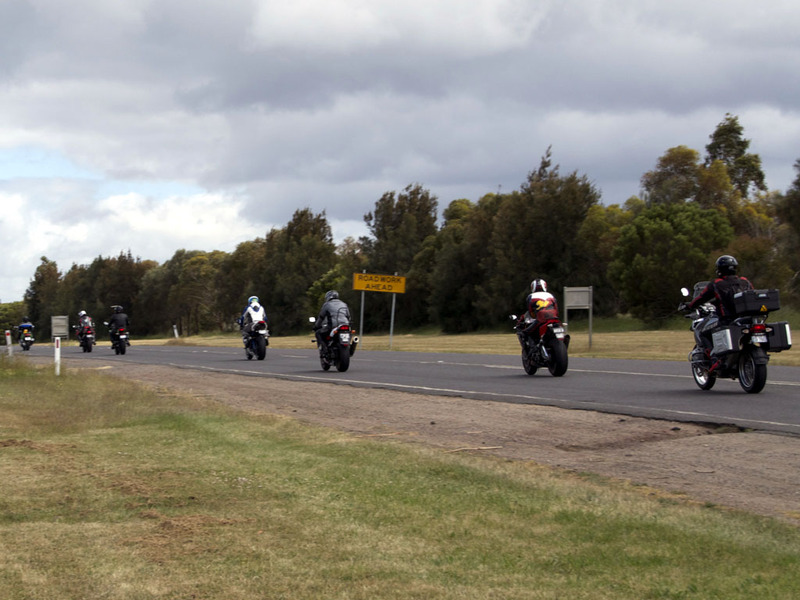 Because of time limits I then led the group up the Calder Freeway (bleargh!) and pulled over for a regroup at the Taradale exit. 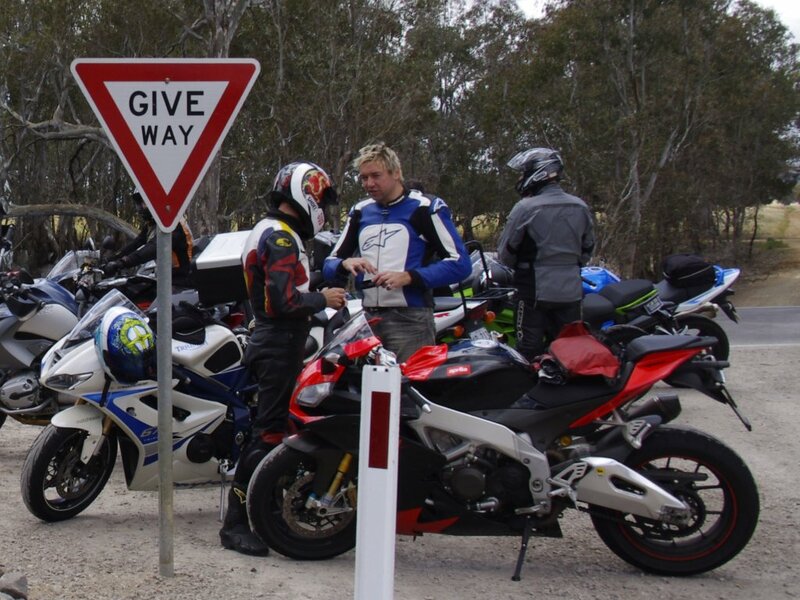 At this point our tried-and-true corner marking system became a tad fluffy, with some riders loyally following me off the freeway into Taradale and others deciding that continuing along the superslab was a better idea. However, thanks to the benefits of modern technology (multiple cell phones) it all ended well, with everyone being reunited in Castlemaine. 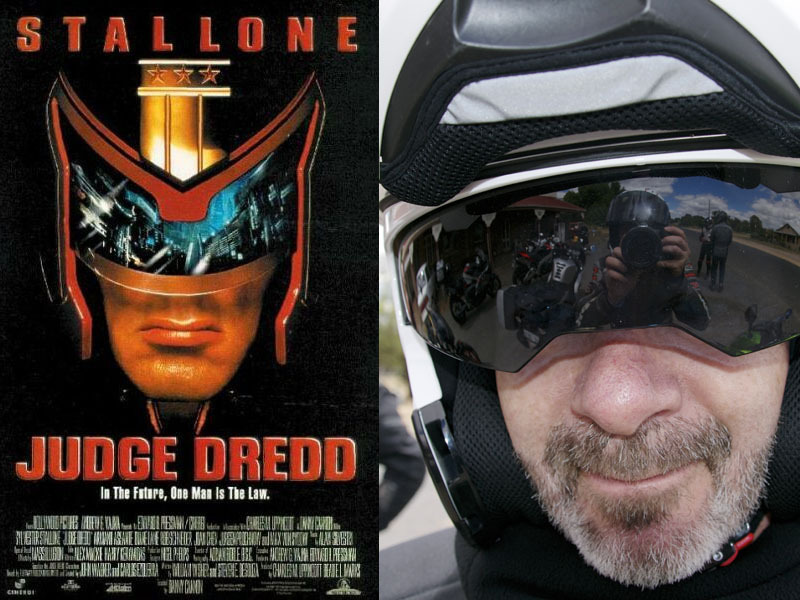 Still…..a gang of only eleven riders had somehow managed to form THREE separate groups. I had not been so astonished since my discovery that something 3 inches long and an inch in diameter could actually get a bend in it. 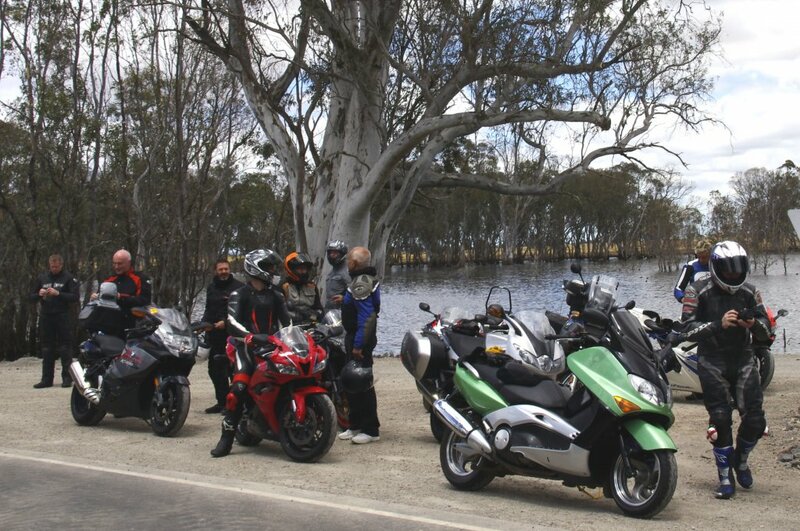 We rode without further incident through Maldon and stopped briefly at Bells Swamp. Despite its unprepossessing name this isolated seasonal swamp is extremely beautiful and we were lucky to see it at its waterlogged, bird-filled and snake-infested best. 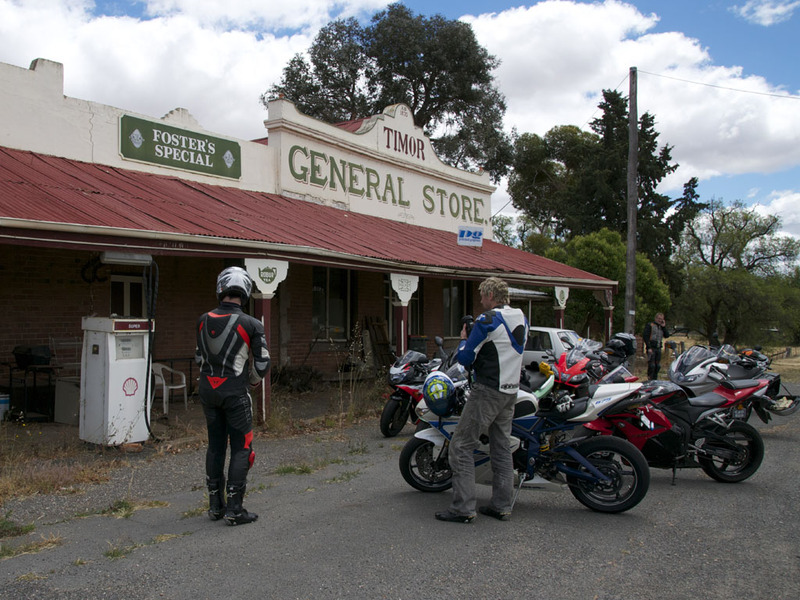 We continued north-west into Eddington and Dunolly, then headed back south along a deserted road through Timor (pronounced “TY-mor” by the locals) where we stopped briefly at the ancient and long defunct general store. See the photos for an idea of just how long the place has been abandoned; even the store’s dead cars appear to have 20 years of dust on them. 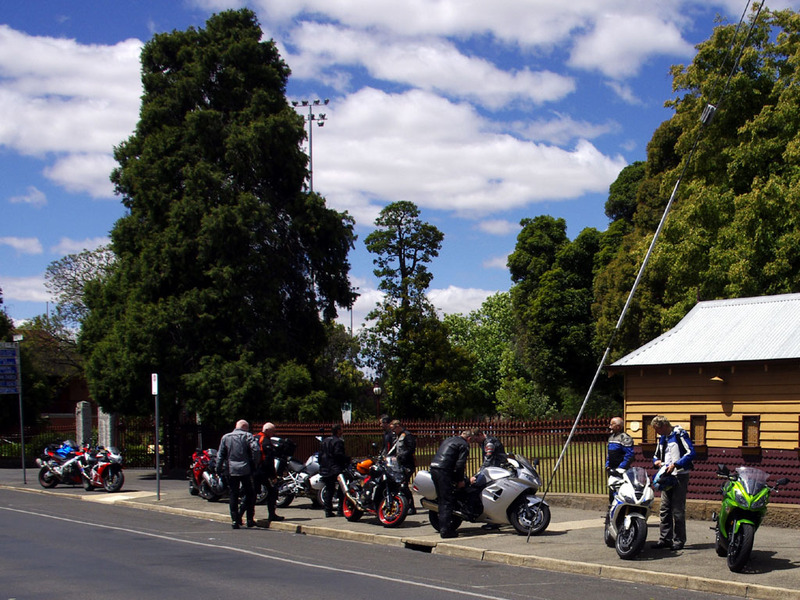 Next stop was Maryborough, where we lunched at the Park Hotel. I had taken pot luck with this untried venue. Verdict? A vaguely strange experience….70s/80s decor, friendly and laid back service, reasonable prices and rather large servings. 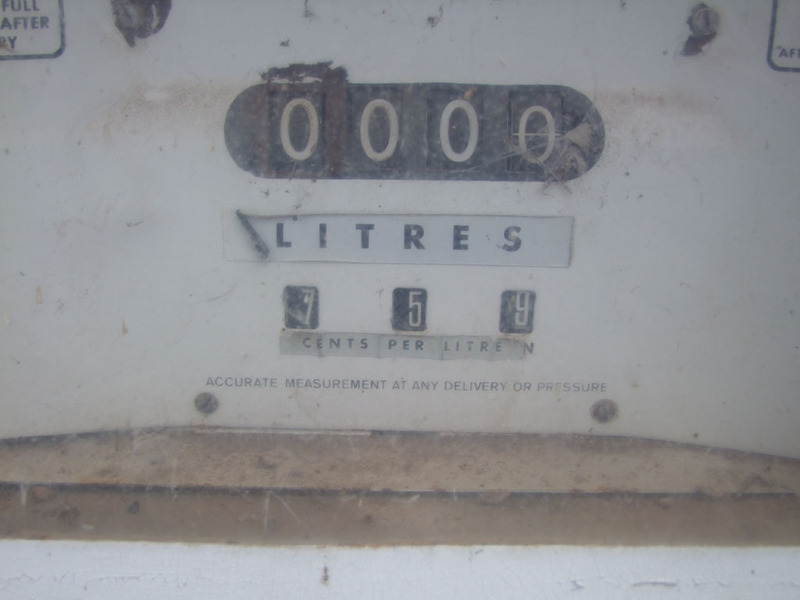 Hmm……perhaps more rural pubs should still be like this? After lunch and a refuel we kept going south along another back road to Craigie, skirted Majorca (that’s “Ma-JOR-ca” you know) and joined the C288 before picking up the main highway at Dunach. A short fast run took us into Clunes where we turned east along a good back road to Smeaton before joining the Midland Highway for Daylesford. 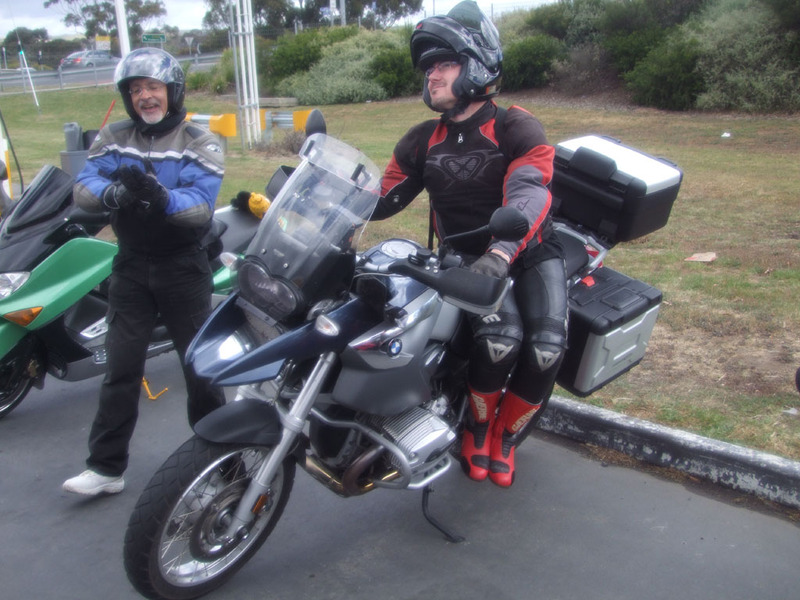 Continuing on to Musk we pulled over and said goodbye to John M, with Tim taking over the Tail Riding position. Musk/Bullarto is well known for its – shall we kindly say – “temperate” climate, and today was no exception. 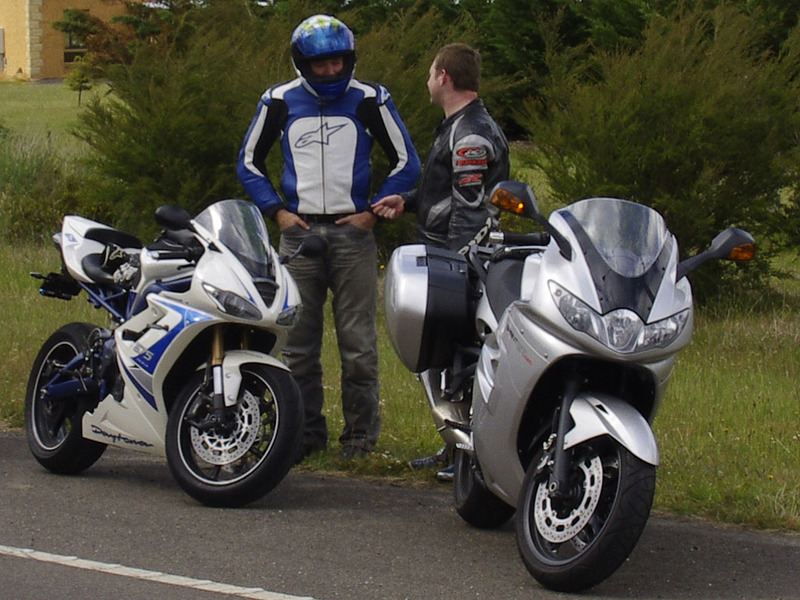 By the time we reached Trentham it was actually cold. Or maybe that’s just me; I suspect that ageing ex-Sri Lankans don’t handle this area too well. Another stretch of narrow, reasonably twisty but well surfaced back road brought us through Ashbourne and into the southern entrance to Woodend where we picked up the Black Forest Drive, finally pulling over where this road meets the Calder Freeway. After a brief yack we said our farewells, with the group heading home along the freeway while I again went north to Castlemaine. 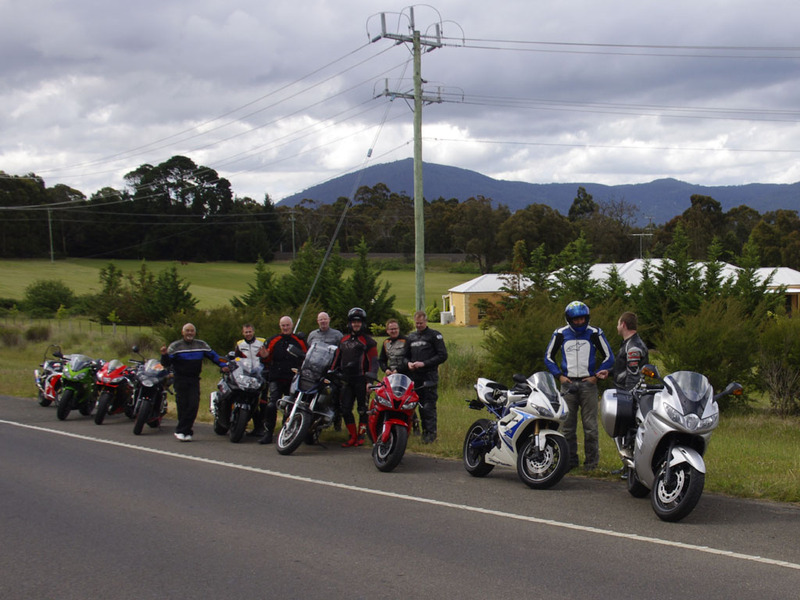 This was a short ride by daylight saving standards, with the main group covering only about 355kms. I will try to create a longer one for my next ride. Might start planning it now. Thanks to all you good blokes who came along and (hopefully) enjoyed a nice easy day. My thanks also to John and Tim for their Tail Rider duties.